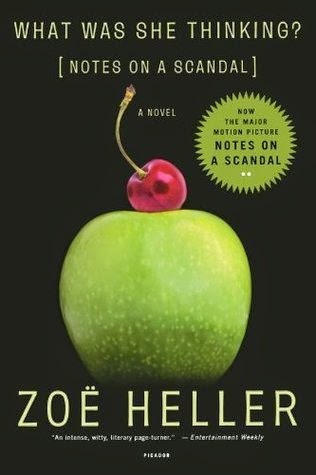 I missed this, both Zoe Heller's book What Was She Thinking[Notes on a Scandal]? which came out in 2003 and the film Notes on a Scandal which was released back in 2006. Thanks to a quiet afternoon and HBO I can tick the movie off my list; it will be very difficult to go back and read the book at this point. You tell me; is there any reason that I should? The movie was intense. One look at the poster tells us everything we need to know. There's Cate Blanchett looking impossibly beautiful as Sheba Hart, the younger, affluent, rather out-of-place arts teacher, playing a bit of a precursor to her Oscar winning role as Jasmine in Blue Jasmine. 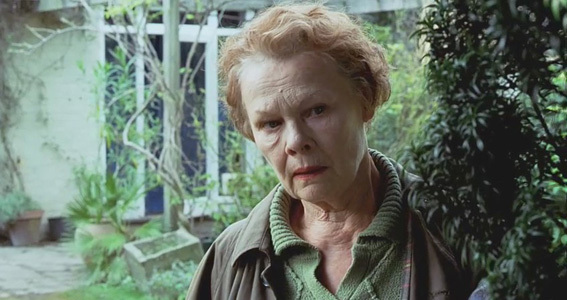 But it's the look in Judi Dench's eyes that hints that this particular scandal might be something other than the facts of a steamy affair between Sheba and one of the teenage boys she teaches. 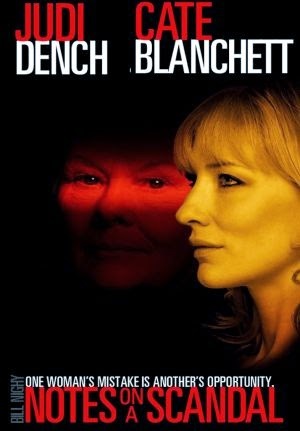 Both actors were nominated for Academy Awards; Blanchett was nominated as a Best Supporting Actress while Judi Dench's Barbara Covett (and yep, that's an apt name considering Barbara covets the attentions of Sheba) earned her a Best Actress nomination. The film was utterly absorbing. 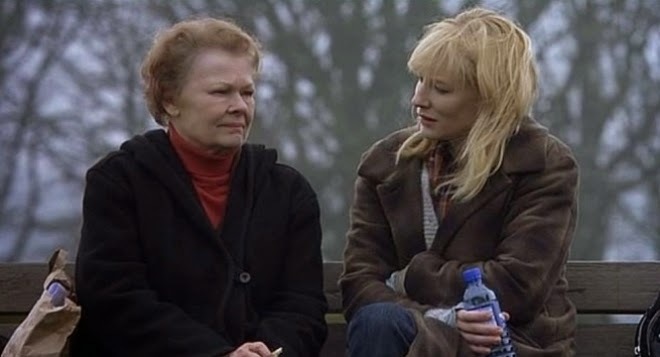 Told from Barbara's rather skewed point of view, Judi Dench's creepily intrusive character latches on to the younger woman, ostensibly mentoring Sheba in the ways of schoolroom discipline. But Sheba is lacking in self-discipline and under the watchful, jealous eye of her friend, Sheba gets more and more involved with a cocky young student (Andrew Simpson). At the same time Barbara imbeds herself more deeply in Sheba's home and personal life. 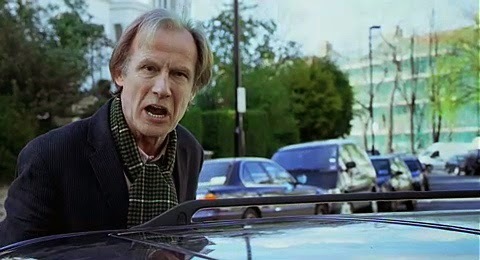 The mighty talents of Bill Nighy are underused here as Sheba's older, scholarly husband but he so thoroughly imbues the role with grace and irresistible good humor that we never question her affection for him, their family and the life they lead together- despite the lusty trysts and regardless of what Barbara writes dismissively in her notebook. 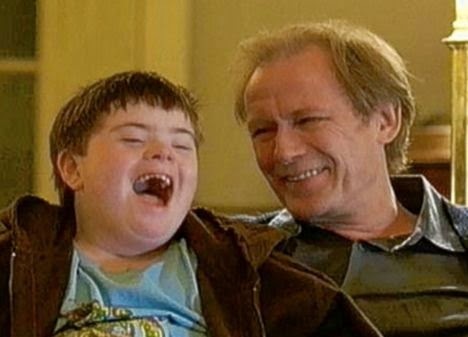 But of course when you want an actor that can go off the rails as Sheba's husband, finally fed up with Barbara's non-stop personal invasion, does, Bill Nighy will bring it. But it's the women, Barbara and Sheba, Judi and Cate, that enthrall us. Poor Barbara, a sad little woman in denial about her own sexuality, has a history of wanting so much more from her friends than they can give in return. The tension that comes from that - from Sheba's unspoken awareness of Barbara's desperate affection and what she threatens to reveal if that affection isn't returned - make this a really delicious nail-biter. 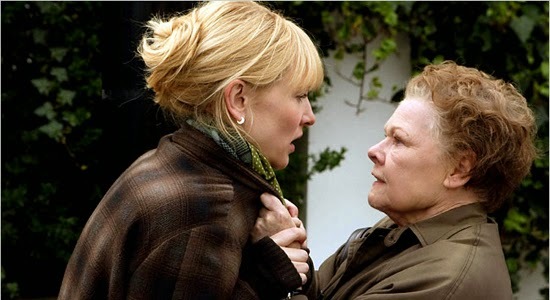 Directed by Richard Eyre, Notes on a Scandal is available to instant stream on Amazon. Book or no book, over half a dozen years since its release, this is definitely one to watch.